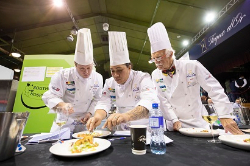 New Zealand Chefs Association Inc. is a member of the World Association of Chefs Societies (World Chefs) and was the first association to establish professional chefs training in this country. 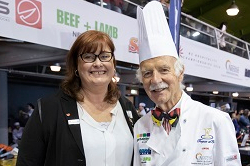 Our involvement in the Foodservice Industry extends to representation with Service IQ, New Zealand Beef and Lamb Marketing Bureau Advisory Panel, Polytechnic representation throughout the country and NZChefs Scholarship for continuing education for trainee chefs within training industry programs. • Full Membership: A person with at least five years cooking experience acceptable to NZChefs, or who has completed a training programme that is recognized by NZChefs. • Associate Membership: A person, who in the opinion of the executive (branch or national), may be of benefit to the aims and objectives of NZChefs, may apply for membership. • Training Membership: Training membership shall be open to any person who is currently tertiary training in the Culinary Arts. • Student Membership: Student membership shall be open to any person who is currently enrolled at secondary school with an interest in the Culinary Arts. • Establishment Membership: A single kitchen/restaurant, at one location, with up to 5 chefs, cooks, patissiers, and/or confectioners. • Secondary School Membership: Secondary Schools teaching students in the Culinary Arts / Hospitality, up to three teachers. • Corporate Member: Companies that support NZChefs aims and objectives. 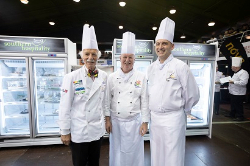 - Sponsorship and organisation National, Regional and International Culinary Competitions. - Specialized workshops on industry trends and open forum discussions. - Regular trade evenings sponsored by key corporate companies and hosted by your local branches. - Six copies of “Plate”, the official magazine of NZChefs. - The ability to be eligible based on criteria, to apply for selection to the New Zealand International Competition teams. - Educational opportunities such as "How to Prepare for Competitions", Beef and Lamb, Menu Costings & Menu Engineering Seminars and Judging Qualifications. - The ability to seek funding from your branch to attend cookery related education, conferences, congresses both within New Zealand and overseas. - 2019 Conference to be held in Palmerston North. - Industry social gatherings particular to your region. - NZChefs pin and cloth badge. - Opportunity to advertise jobs on our website and social media pages. Thank you for taking the time to consider joining the NZChefs. Please contact 0800NZCHEFS (0800 692433) or admin@nzchefs.org.nz if you need any further information. 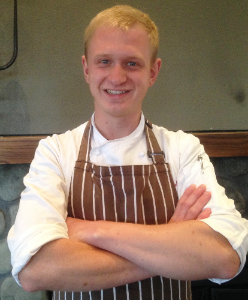 "It is great to be a member of NZChefs, it’s a really good chance to join many different Restaurants and get some nice experience for my cooking future in the time that I am staying in New Zealand."